9. 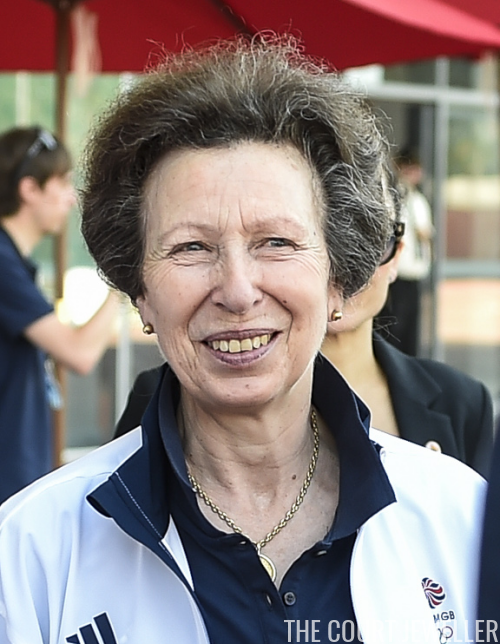 She wore the same earrings with a gold pendant necklace on Sunday for a visit to Team GB's preparation camp. 8. 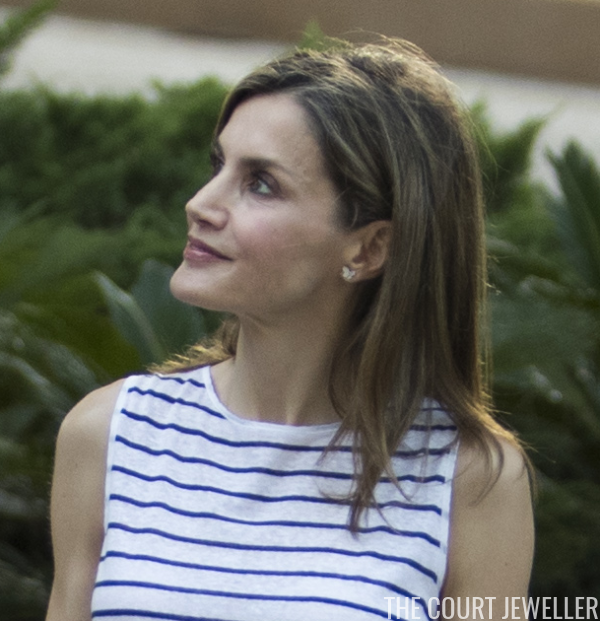 Queen Letizia of Spain posed for portraits with her family in Palma de Mallorca on August 4. She selected a teeny pair of butterfly-shaped stud earrings for the picture session. 7. 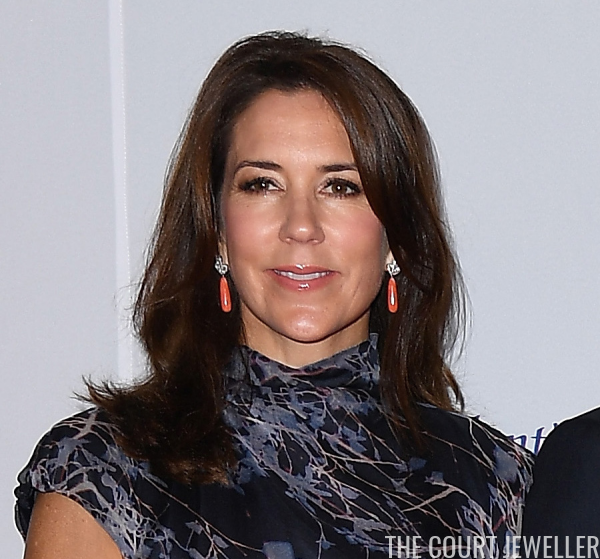 At Friday's Olympic opening ceremony, Crown Princess Mary of Denmark cheered on the teams from both Denmark and her native Australia wearing a pair of hoop earrings with pearl drops. 6. 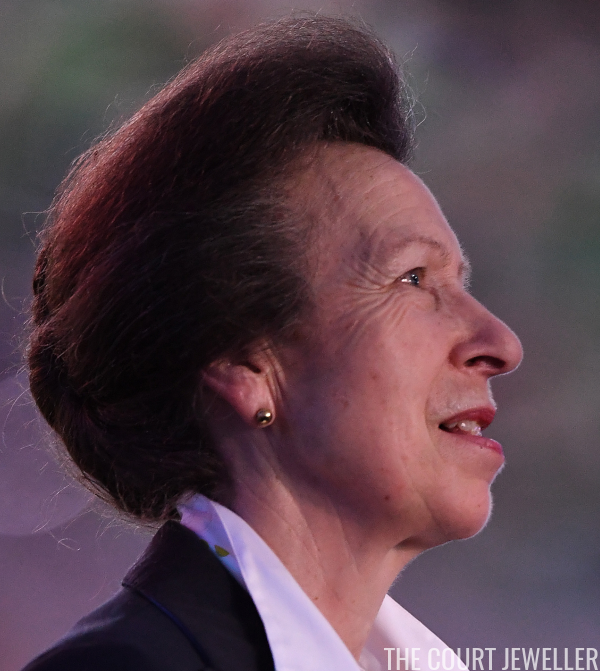 A day earlier, Mary wore a pair of earrings with bright orange drops for the IOC's President's Dinner in Rio. 5. Queen Mathilde of the Belgians wore large statement earrings on Saturday for a visit to Charleroi's police station. 4. Mathilde was in Rio the previous day with King Philippe for the Olympics opening ceremony, where she wore one of her trademark pairs of large gold earrings. 3. 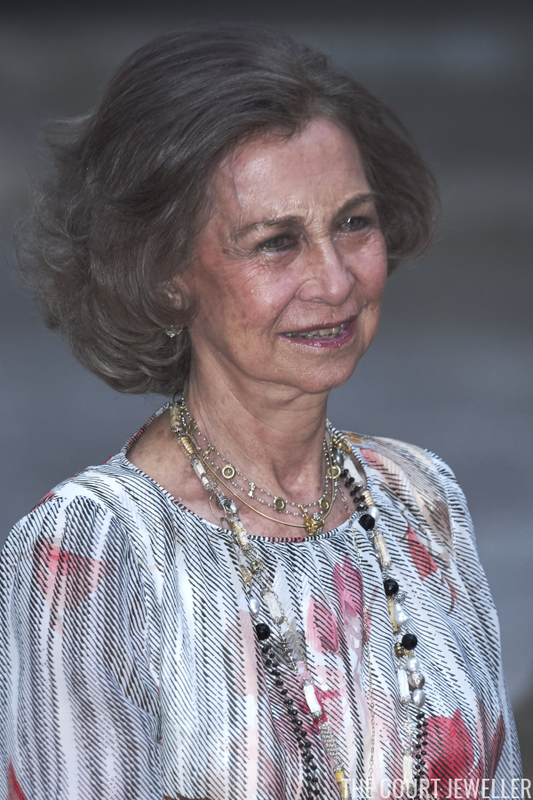 For an official reception at Almudaina Palace in Palma de Mallorca on Sunday, Queen Sofia of Spain layered numerous necklaces. 2. 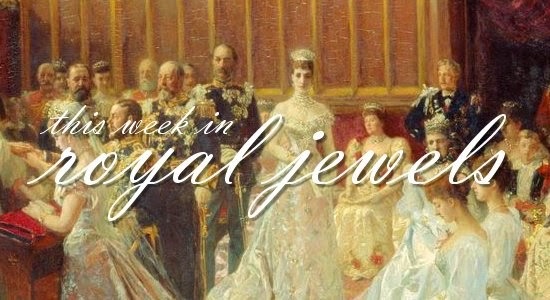 Queen Letizia debuted yet another new pair of earrings from Coolook at Sunday's reception. These are set with labradorites, citrines, and agates. 1. 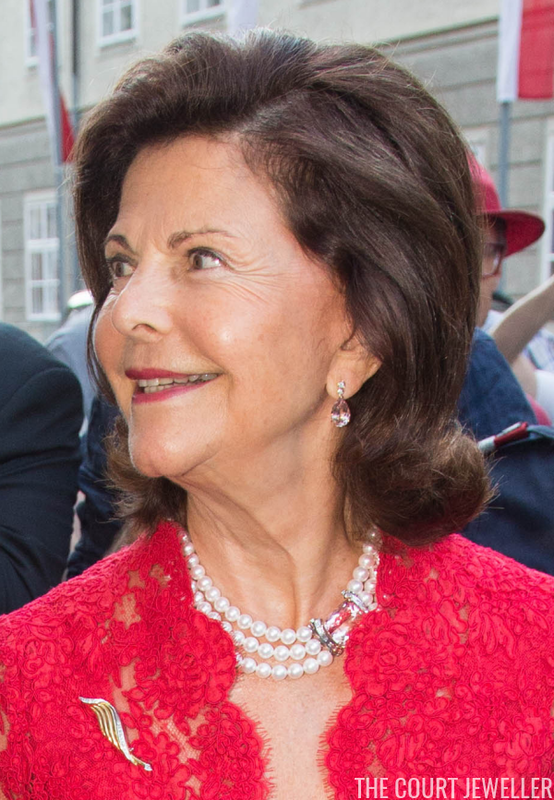 King Carl XVI Gustaf and Queen Silvia of Sweden went to the opera in Salzburg on August 4, and Silvia brought along her lovely suite of pearl and topaz jewels, plus an abstract brooch in diamonds and gold.